Since launching in 2003, Frieze London has risen to become one of the most highly anticipated events on the art calendar. The 16th edition arrives in Regent’s Park next month (4–7 October), with more than 160 international contemporary galleries. The fair focuses on trailblazing women artists in a special section called Social Work, where 11 art historians and critics will select artists who challenged the male-dominated market of the 1980s. 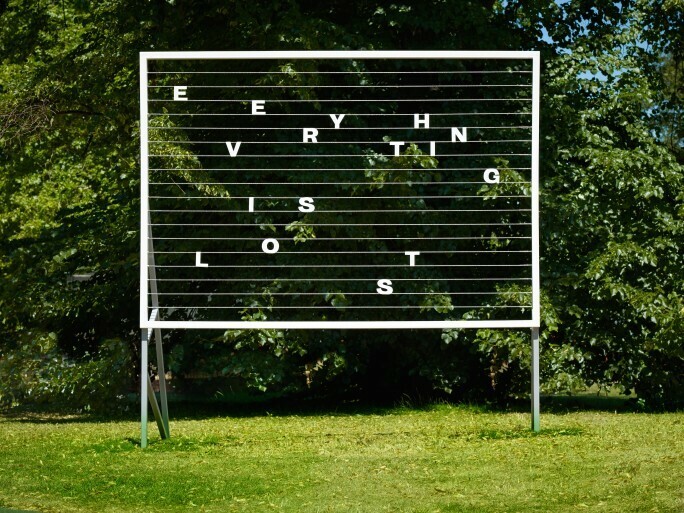 Tim Erchells, Everything is Lost, 2018, From Vitrine Gallery at Frieze Sculpture 2018. Photo by Stephen White. Courtesy of Stephen White/Frieze. Meanwhile, five Old Masters dealers, including Galerie Canesso of Paris, will make their debut at Frieze Masters, the sister fair for works made before 2000. But you don't have to wait until October for a piece of the action, head to Frieze Sculpture park, which opened on 4 July, to see 25 works from Modern and contemporary artists that include Michele Mathison’s Parallax, 2018, a sculpture formed out of steel street lamps, and Tim Etchells's text-based Everything is Lost, 2018. Elsewhere in the city, museums and galleries are mounting serious exhibitions to coincide with the fair. Here, we highlight the best shows to see when fair fatigue sets in. 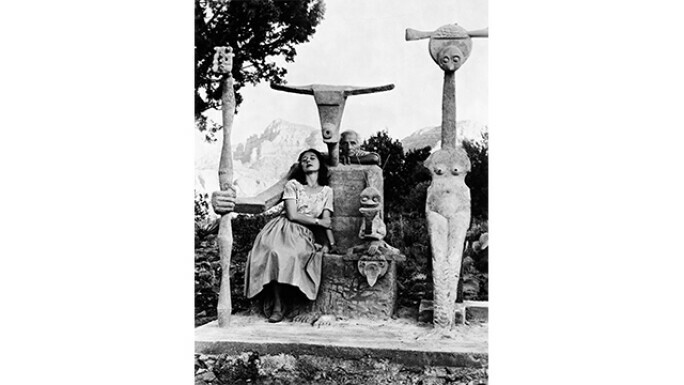 Dorothea Tanning and Max Ernst with His Sculpture, Capricorn, 1947. Photo: John Kasnetsis. Elmgreen & Dragset, Installation View of One Day, 2015. Photo: Tom Jamieson. Scandinavian artist-duo Michael Elmgreen and Ingar Dragset are rarely out of the spotlight. They have become known for provocative projects such as The Collectors, a work created for the 2009 Venice Biennale in which a contemporary art collector is found floating face down in a swimming pool. The pair will present works from the past 20 years in a major survey at the Whitechapel Gallery. 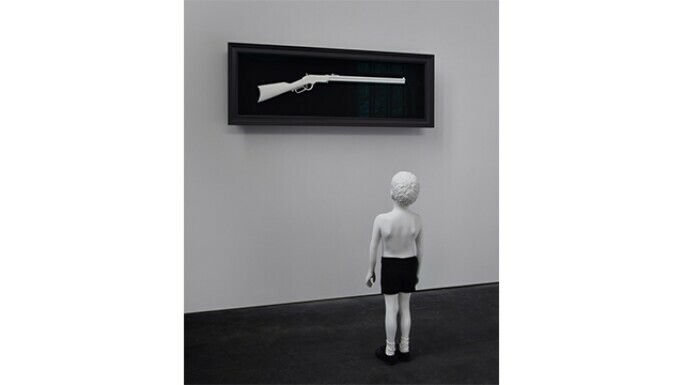 On display will be Modern Moses, 2006, an installation depicting a newborn baby in a carry cot placed in front of a cash machine, and One Day, 2015, a sculpture showing a young boy gazing at a rifle in a display case. 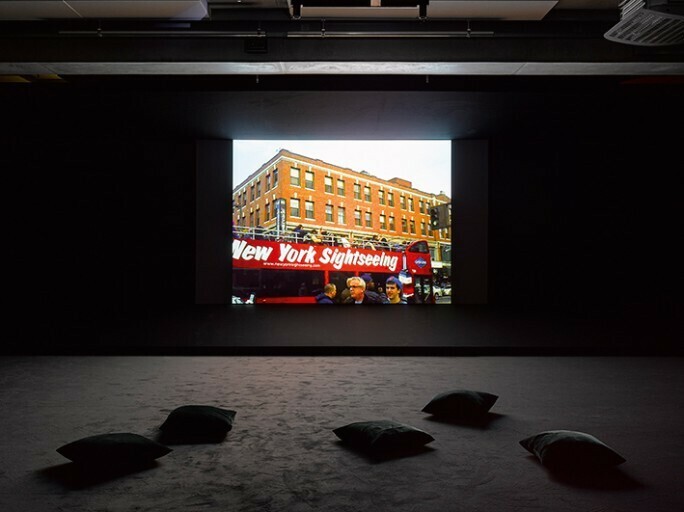 “Interrogating issues around public and private space, individual and collective responsibility and societal politics, the exhibition will juxtapose a survey of their emotive figures with an extraordinary new installation that meditates on the fate of civic space,” says Laura Smith, the exhibition's curator. Tania Bruguera, Tatlin’s Whisper #5 at Tate Modern, 2016. Photo: Tate Photography. 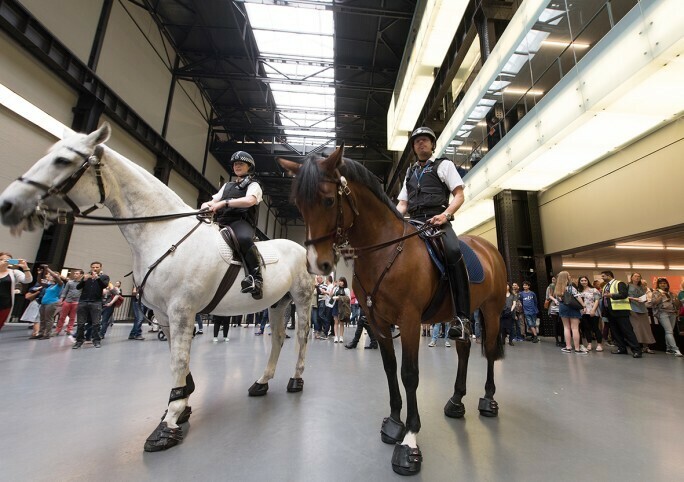 Tania Bruguera has taken on the challenge of creating works for Tate’s gargantuan Turbine Hall. The details remain under wraps, but Havana-born Bruguera often confronts political and social justice in her art and activism; in 2012 she was in residence at Tate Modern with her ongoing project Immigrant Movement International, for which visitors were required to pass a lie detector test based on questions from the UK immigration form. Earlier this year, the Museum of Modern Art debuted Bruguera's Havana, 2000, a performance piece that authorities banned when it premiered in 2000 as part of the 7th Havana Biennial. Studio Ini's Anipakoi, For Greece, Expands and Contracts as an Individual Walks Through It. Photography: Ed Reeve. Those arriving early to London will have the opportunity to see some of the world's most ambitious designers on display at the London Design Biennale. Themed around “emotional states”, the second edition, installed at the Somerset House, brings together more than 35 countries and cities for an exhibition of outstanding ideas and creativity. “Design installations will investigate the important relationship between design, strong emotional responses, and real social needs,” says biennale director Christopher Turner. 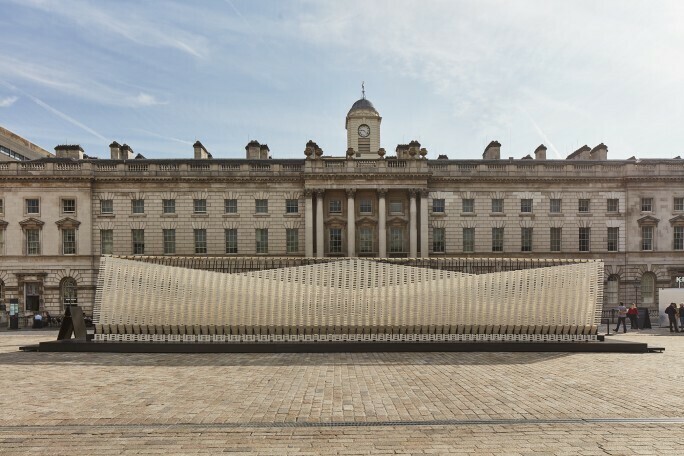 On display in the courtyard, an undulating sculpture by the design team of Studio INI explores the duality of disobedience, a potent theme for Greece that traces back to stories of Icarus, Antigone and Prometheus. Step inside the steel skeleton and watch the structure move and morph to your movements. 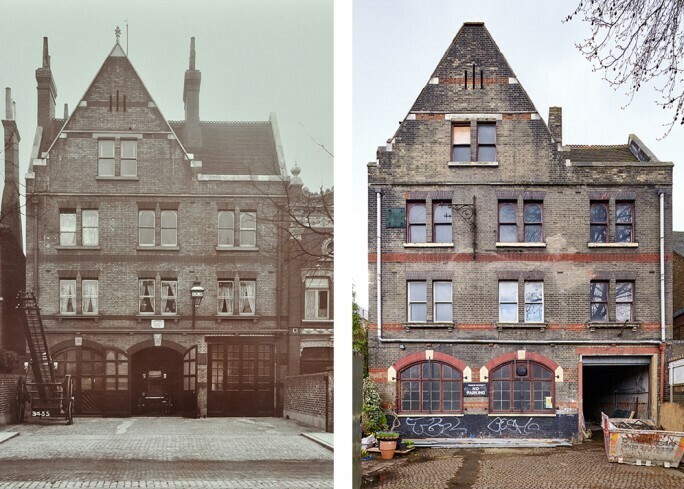 Peckham Road Fire Station, 1905 and April 2016. The South London Gallery, a hidden gem on the capital’s contemporary art circuit, will launch its long-awaited new space in the Grade II listed former Peckham Road Fire Station on 20 September. The development, overseen by London-based 6a architects, includes new exhibition and education spaces, an artist’s studio and a communal kitchen. The inaugural show, Knock Knock: Humour in Contemporary Art, will see the gallery’s director Margot Heller collaborate with artist Ryan Gander to explore “the enduring use of humour as a device in contemporary art through works ranging from painting, drawing and sculpture to collage, installation and film,” a project spokeswoman says. Expect works by Maurizio Cattelan, Sarah Lucas and Ugo Rondinone in dialogue with younger artists Danielle Dean, Hardeep Pandhal and Simeon Barclay, that touch parody, visual pun, slapstick, caricature and more humorous devices. 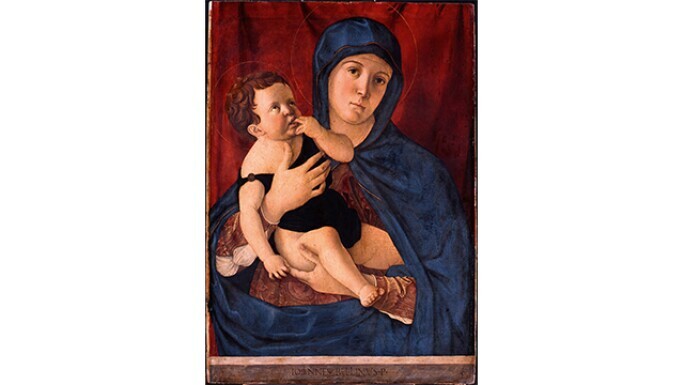 Giovanni Bellini, Madonna and Child. Photo: Jörg P. Anders, Artwork: Gemäldegalerie der Staatlichen Museen zu Berlin, Preussischer Kulturbesitz. The National Gallery unites two masters of the early Italian Renaissance, Andrea Mantegna and Giovanni Bellini, for a comparative survey. Innovative artists and friendly rivals, the two painters also became brothers-in-law when Mantegna married into the Bellini family in 1453. This exhibition is the first to tell their interlinked story of strength and brilliance. “Mantegna’s passion for the ancient world and Bellini’s love of nature are crucial elements of the Italian Renaissance," says Dr Caroline Campbell, the show's curator. Different rooms will explore the distinctive elements of their influence and working relationship, including 'Beginnings', dedicated to the cultural environment of the cities that shaped them, 'Devotional Paintings and Portraits' presenting various pictures of the Virgin and Child, and 'Explorations,' focusing on the years of their closest creative exchange. Though the two only spent ten years together, juxtapositions of nearly identical compositions, The Agony in the Garden and The Presentation of Christ to the Templeamong them, reveal evidence of a continued artistic dialogue for the rest of their lives. Still from Kahlil Joseph, Fly Paper, 2017, at the Store x Berlin, 2018. Photo: Jack Hems. Twenty-one radical video works shown at New York’s New Museum over the past 10 years feature in this cutting-edge survey, curated by the New Museum's artistic director Massimiliano Gioni. Audiences can expect “a compendium dedicated to exploring unconventional perspectives in new media, technology, politics and society”, says a spokeswoman. Presented at The Store X, 180 The Strand, a creative arts space in a vast 1960s Brutalist complex, the extraordinary works will focus on how images shape memories, blending with sound to create dreamlike compositions. Many of the videos are being shown in the UK for the first time, including Pipilotti Rist's 4th Floor To Mildness, 2016, Kahlil Joseph's Fly Paper, 2017, and John Akomfrah's Vertigo Sea, 2015 – among some of the museums most impressive presentations.